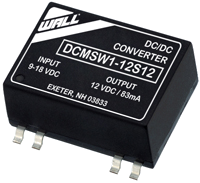 The DCMSW1 series of DC/DC converters provides 1 Watt of output power in an ultra compact SMT package. These converters operate over 2:1 input voltage ranges of 4.5-9VDC, 9-18VDC, 18-36VDC, and 36-75VDC. This series also has fully regulated single and dual output voltages of 5V, 12V, 15V, ±12V, and ±15V. 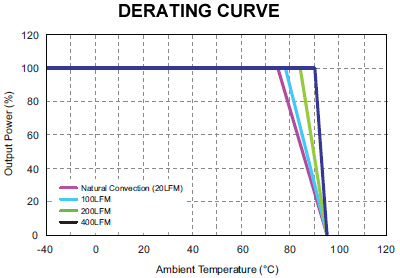 The DCMSW1 series’ impressive efficiencies enable these modules to deliver their fully rated output power from –40°C to +75°C without derating. Other features include remote on/off control, low ripple and noise, 1500VDC I/O isolation, and continuous short circuit protection. The very small footprint of these converters makes them an ideal solution for space critical applications in communication equipment, instrumentation, and many other battery operated applications. Notes: 1. All DC/DC converters should be externally fused at the front end for protection. 2. 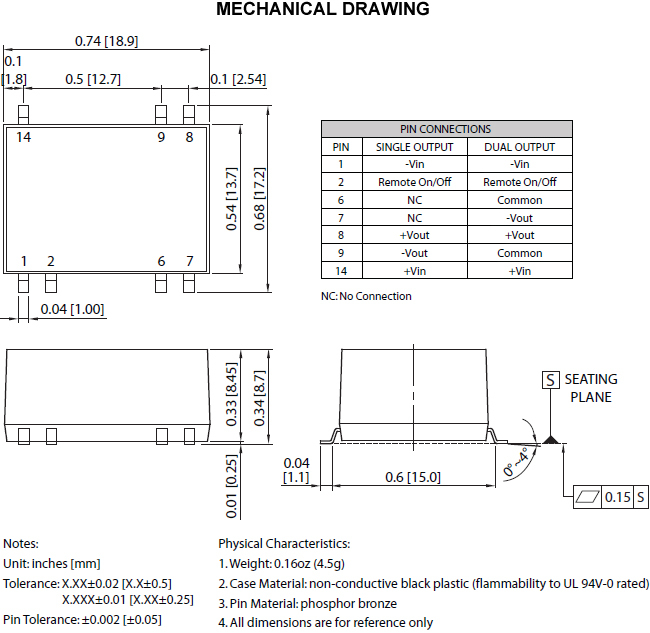 Other input and output voltages may be available, please contact factory.